Towards the end of our South Africa safari trip, Bwana Mbogo disappeared. We had come back from our afternoon hunt, and had gone to the room to wash our faces. When he was done, he left to go to the lodge for his evening drink and I was to join him when I was done with my cleanup. When I arrived at the lodge bar, he wasn’t there. I searched and searched, and finally I found that he’d been eaten by a hippo! 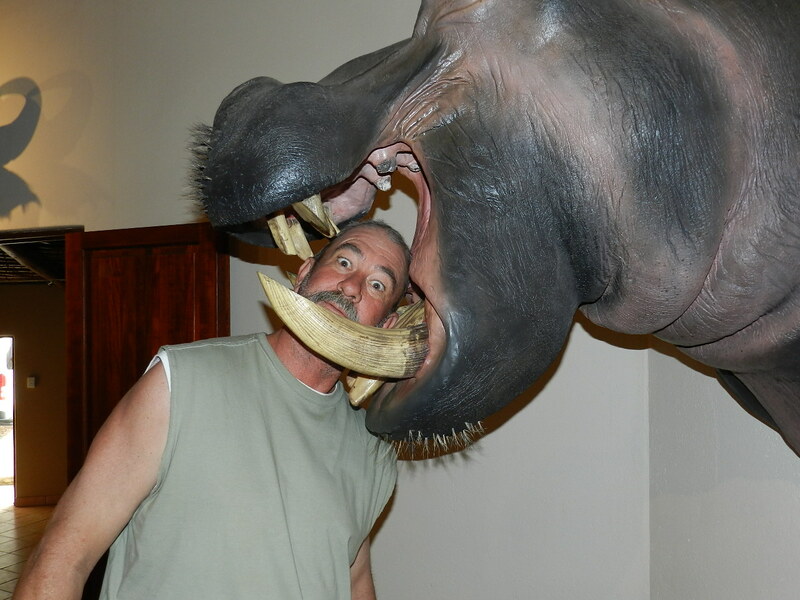 Bwana Mbogo got eaten by the hippo! Thankfully, there were several professional hunters who were experienced in dealing with hippos, and we saved Bwana Mbogo! This entry was posted in Hunting Experience. Bookmark the permalink.